Yesterday we came across a leaked image of the OnePlus 6 that showed off the textured back of the smartphone. The OnePlus 6 is going to be a flagship smartphone, and, like many other recent Android phones, it too will be coming with a notch. At least that’s what we know through the leaks and rumors so far. However, putting an end to all those rumors, OnePlus has finally confirmed that its upcoming smartphone will indeed come with a notch. 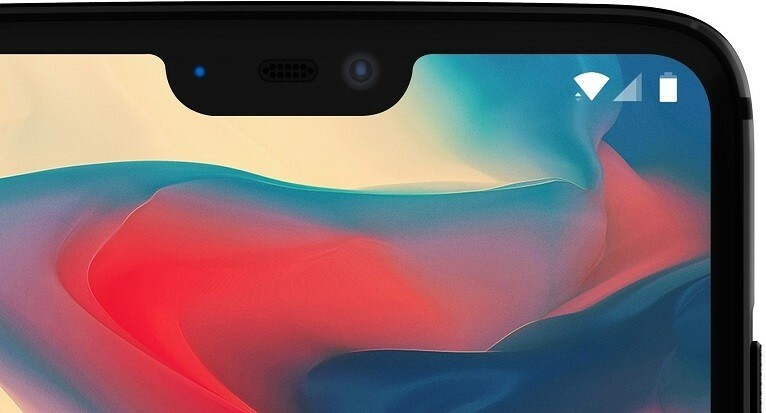 This confirmation comes straight from the horse’s mouth – OnePlus Co-Founder Carl Pei – who told The Verge that it’s upcoming smartphone will have a notch. The company also shared an image (pictured above) showing off the notch on its upcoming flagship. However, OnePlus hasn’t confirmed what it’s upcoming smartphone will be called, but it’s safe to say that it will be called the OnePlus 6. The notch on the OnePlus 6 will be smaller than the one on the iPhone X, in fact, OnePlus also shared the measurements of the notch that are 19.616 mm x 7.687 mm. 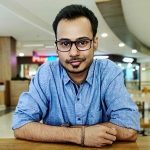 And, the reason why OnePlus has added a notch on the OnePlus 6 is to give more screen real estate to the users. By adding a notch, OnePlus is moving the notification bar up top so that it doesn’t take up space while you are using different apps. Moreover, the company has also moved the clock on the left side, and, the company would also put on a black bar around the notch area to hide it so that watching videos and photos in landscape mode doesn’t turn out to be an unwanted experience. That said, while Pei confirmed the existence of notch on the OnePlus 6, he also said that the smartphone won’t be devoid of a chin. Furthermore, this upcoming smartphone will also have support for gestures that would eliminate the need to use on-screen navigation buttons. However, you will be able to choose between on-screen gestures and on-screen navigation buttons. Whichever you are more comfortable with. Having said that, the addition of notch on a smartphone also means compatibility issues with apps, as there will be times when a certain app wouldn’t look as good on a ‘notched’ screen smartphone as it would on the one that doesn’t have a notch. And that’s why, OnePlus manually tested the top 1000 apps on the Play Store to determine which ones would need a compatibility mode with the notch. Lastly, OnePlus said that its upcoming smartphone will have the biggest screen to date on a OnePlus smartphone with a screen-to-body ratio of 90%. And, the good news is that this smartphone won’t be larger than the company’s existing smartphones. Well, as far as the launch of this upcoming OnePlus smartphone is concerned, we can expect the company to launch it before June. Oh, and did we say it will have a 3.5 mm headphone jack? Yeah bruh, it will.